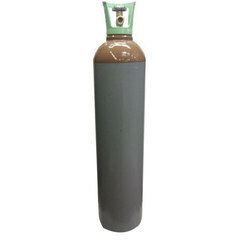 We are a manufacturer of Deuterated Ammonia Gas. We are the top-notch providers of the quality centric Deuterated Ammonia Gas which is produced following standard operating procedures. The Deuterated Ammonia Gas is offered by us at leading industrial rates which are highly rated among our clients. We ensure that regular industrial quality checks are initiated to ensure that the quality levels are maintained. Colourless Liquefied Gas with a Penetrating and Suffocating Odour. Combustible but Hard to Ignite. Toxic irritates mucous membranes and eyes. High concentrations give rise to cramp in the windpipe and pulmonary oedema.